Sparky and I love Oysters in any way, shape or form. When we go over to the coast of Washington State, we never fail to stop and purchase Oysters to take home with us. 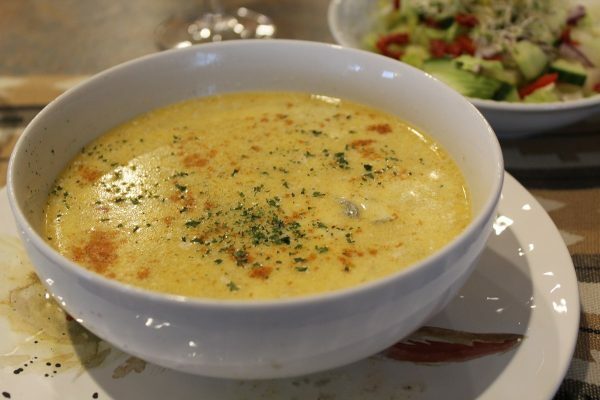 One of our favorite ways to enjoy them is making this Oyster Stew. 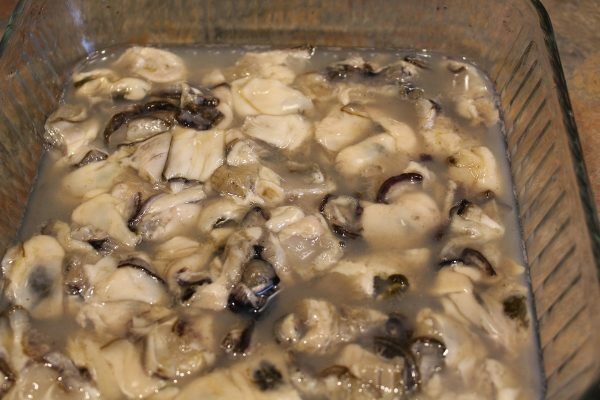 Now, there are a bazillion recipes for Oyster Stew out there but we think the simpler, the better. We want the focus to be on the Oyster, not on vegetables or lots of seasoning. Oysters themselves are full of briny, salty flavor that only fresh seafood provides. 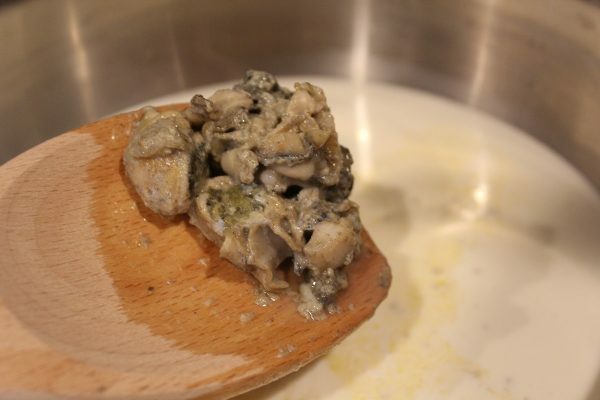 So, here is my recipe for classic Oyster Stew. I serve it with “Club” crackers and a fresh salad and life is good! Full of plump, juicy Oysters and slowly cooked in a buttery creamy soup gently seasoned with salt, pepper and a pinch of paprika, this is simply perfection! It is so luscious that we can't seem to stop eating this scrumptious stew! Plus, it's ready to eat in 30 minutes! Pick over the Oysters to remove any shell pieces. Then cut each Oyster into 3 or 4 pieces depending on their size. I find even small Oysters to be big! 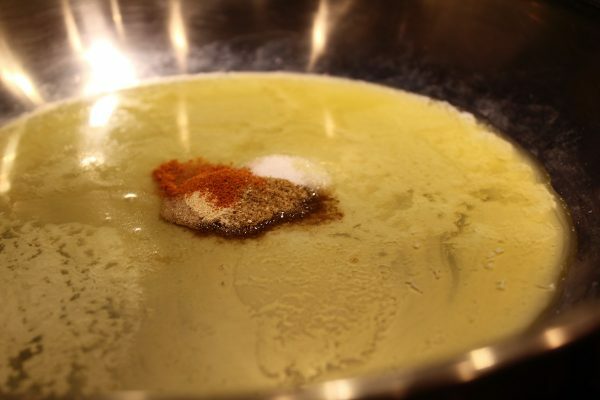 In a 12 inch skillet, melt the Butter and stir in the Celery Salt, Sea Salt, White Pepper and 1/8 Tsp Paprika. 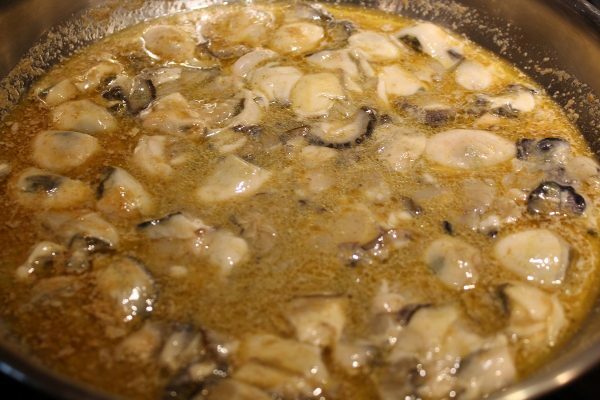 Add the Oysters and their liquor to the skillet and spread out evenly. Heat the Oysters just until their edges start to curl, 1-2 minutes. 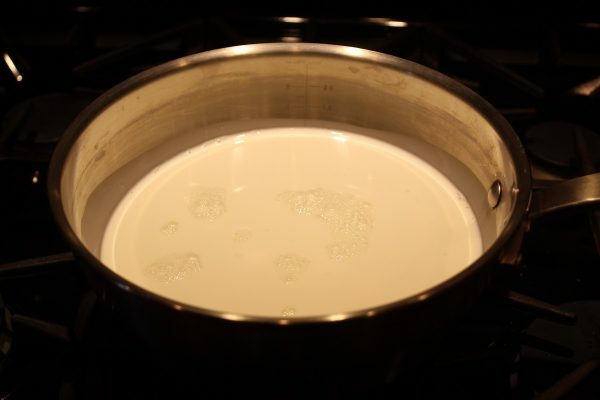 Meanwhile, heat the Half and Half in a large saucepan until hot, being careful not to boil it. 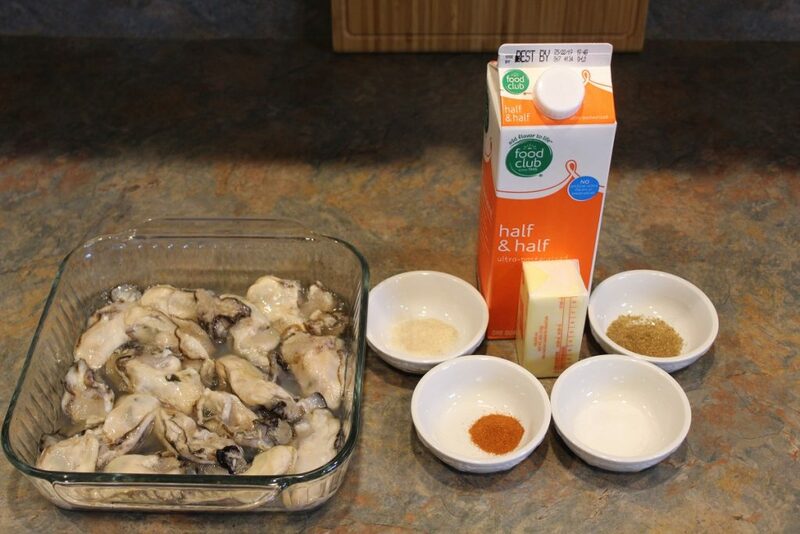 When the Half and Half is hot, add the Oysters and all the juices. Barely simmer over low heat for 15 minutes. 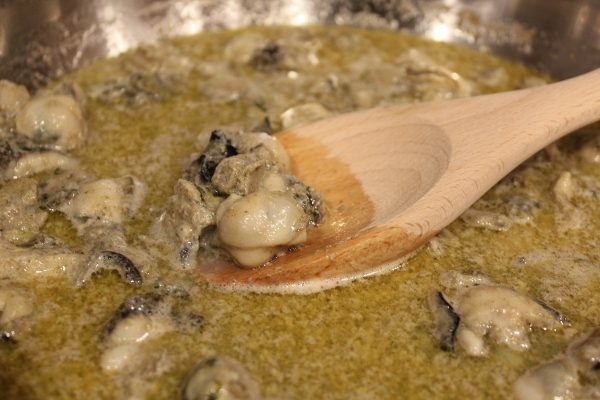 With a slotted spoon, scoop some Oysters into your serving bowls, then fill the bowls with the rich, savory, creamy soup. Sprinkle the remaining Paprika over the top and add some Parsley flakes as a garnish if you wish. Absolutely luscious! 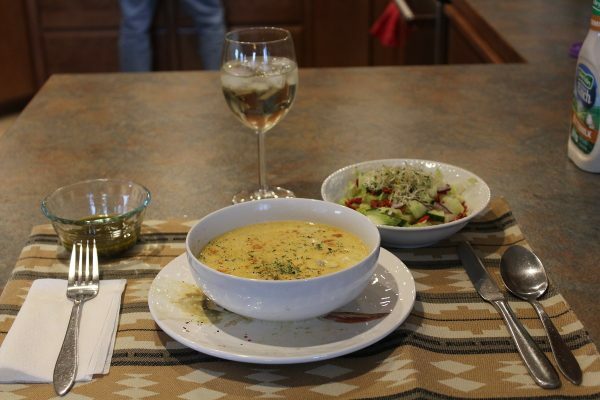 Serve with crackers and a salad and life is good! Thanks for stopping by today. I hope you enjoy gifts from the sea as much as we do. 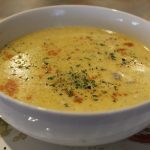 It's a cold, rainy, foggy day, here in the mountains of Northeast Washington State, so my wish for you today, is a bowl of Oyster Stew to warm you, a dog at your feet and a good book for entertainment. LOVE this recipe! Just saved it to my Pinterest and Facebook pages. Thank you for posting!